Free from preservatives, parabens, fragrance, alcohol, colourants. Dermatologically tested. This cleanser is perfect if you suffer from dry sensitive skin. I have to be very careful what I put on my skin because it reacts so fast. This cleanser removes my makeup without a problem though if you wear heavy makeup you probably would have to double cleanse. My skin feels soft after and the cleanser doesnt leave any film on my face. I use it with water. I have been on the hunt for an effective everyday cleanser that does not irritate for over 20 years. My skin is very dry, atopic and prone to irritation and redness but since I've started cleaning my face with this I've had far less flare ups of my facial eczema. It's so comfortable to use and I love that it washes off but with no tightness. Love! I was looking for perfect cleanser for years. This is one. Excellent for dry and sensitive skin especially in winter.Skin is soft and feeling is wonderful. 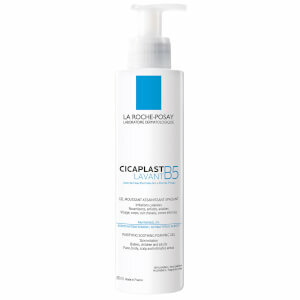 I'm a fan of La Roche-Posay and already use several of their products, so when I needed a new cleanser and saw that this one had such a good reputation I bought it. I have to say, even with the positive experience I have had so far with this brand, this product has surprised me, but in a good way! It is extremely gentle but still leaves the skin feeling very refreshed. It took me a while to get used to not having to rinse it off, but I've decided I actually prefer this. There's no sensation of residual product or stickiness - it absorbs completely. There is no scent that I can detect, which I prefer. Overall, very happy. 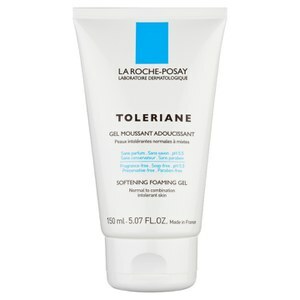 Toleraine dermo-cleanser is a very good, basic, milky cleanser, which leaves skin soft and nourished. I would suggest that this is good for a first cleanse, as it relatively cheap and highly adept at taking off even the most stubborn of make-up. It isn't scented, which makes it a perfect choice for around the eye area. It also leaves the skin with less redness/irritation that other milk/balm cleansers that I have tried (and I have tried most of them!). One word of caution: Having a classic combination skin type myself, I find that if I don't remove the residue of this cleanser thoroughly it can cause me to break out on my chin / sides of my nose. No biggie - just ensure that you rinse twice with a flannel. Happy cleansing! I've used this cleanser for a year now so I can confidently say that it works well  I have acne prone skin... Since switching to this cleanser my skin has improved a lot! It's very gentle, maybe not amazing at removing makeup (I use micellar water to remove makeup though), but it does get rid of excess oil and dirt without stripping skin. My face feels lovely and soft afterwards. 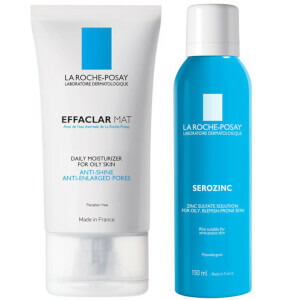 I use this alongside La Roche Posay Effaclar Duo +, whilst sometimes rotating with Epiduo (prescription treatment). This is definitely one of the best cleansers for sensitive acne prone skin! This clearer makes me feel comfortable, perfect for morning and winse make up remover. I have very sensitive skin to cleanser. I feeling safe and moist. Will keep on using it. I have never in my life wrote a review after receiving a purchase from anywhere, but this product deserves a review. I am 24 & from out of nowhere developed the skin of q spotty teenager. I have been using this product for near a week along with other products from the same brand and I must say BEST cleanser I have used & this is one of the cheaper cleansers I have purchased. You only need to use a small amount &I I mean really small & the texture on your face is amazing I have noticed that my skin has that glow.... YES the glow I have always heard people talking about this but my poor skin has never managed it until now. My spots are getting less and less as the week goes on & no new ones have appeared which is surprising as normally when using a new product your skin will flair before it gets better. 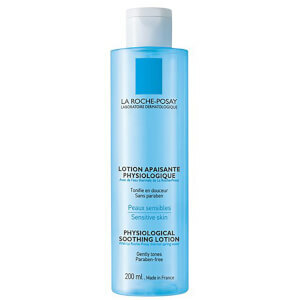 I can't urge people enough to stop wasting time & money on other product & give this a try with La Roche- Posay. Great price fast service from look fantastic. I do believe my Christmases have all came at once. My skin is a little sensitive. This cleanser is a good one which do not stimulate the skin. I like it!